In our home I like to bring a bit of the outdoors in - as well as flowers, I seem to be attracted to anything with birds on it. I'm trying to decide on a wallpaper for a feature wall in our porch entrance - there are so many gorgeous wallpapers around, the hardest part is choosing which one. 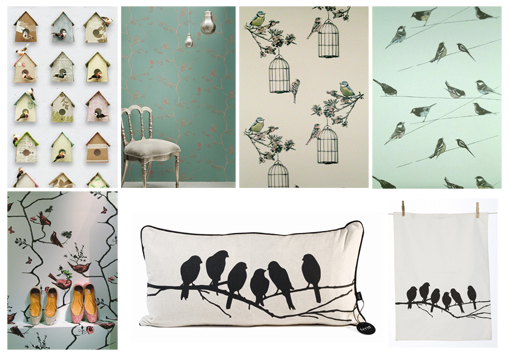 These beautiful wallpapers are all available from Paper Room, as well as the love birds cushion & tea towel. 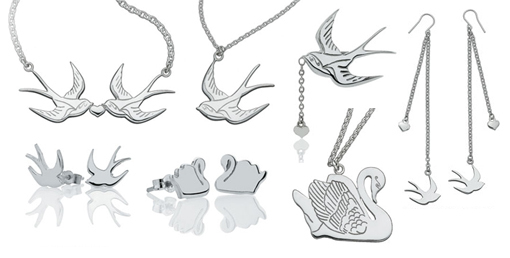 Or, if it's jewellery you want, can you resist this range from Meadowlark?